Libraries across North America have been changing to reflect the impact of digital information on their operations. Services are rapidly being developed to support users connecting through the Internet. Spaces, sometimes called Information Commons, are being constructed or reconfigured to accommodate more computers and support student and faculty use of electronic information. Ryerson’s objective is to model “best practice” in our concept and the execution of our plan for an Information and Learning Commons. In doing so, we have undertaken a thorough review of existing Information Commons sites in academic settings. 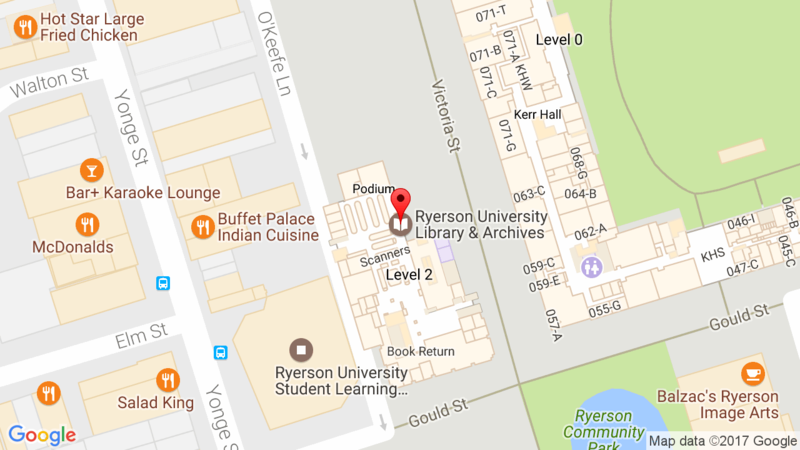 Though the reconfiguration of existing spaces and the acquisition of additional computer hardware and software figures prominently in this plan, the ability of Ryerson’s librarians to organize information and to make it accessible through a program of formal and informal instruction is at the core of this proposal to establish an Information and Learning Commons. Why establish an Information and Learning Commons when the trend towards remote access to library-based information and services is becoming such a prominent feature of academic life in North America? The program of instruction offered by the Library through the Commons will assist students in becoming critical information consumers, thereby improving the quality of their academic work. Improved academic performance translates into higher rates of student retention for the University and optimizes employment opportunities for Ryerson graduates. Ryerson is, and will continue to be, a commuter campus. Throughout the working day, thousands of students, when not in class, seek to optimize their time by working on class assignments – research papers, presentations, and lab reports – that require individual and group work in an environment that provides ready access to information technology. The Commons will provide access to computer hardware and software in a variety of spatial configurations to address these needs. Access to information technology is enhanced through access to instruction in its use. The digital resources the Library is acquiring vary considerably in content and format, as do the interfaces that enable users to search for and retrieve data. Navigating this content rich environment has become an increasingly complex endeavor. Ryerson’s librarians are skilled at providing both point of use and formal instruction in the use of these resources. The Commons will provide an environment in which this instruction can be delivered in a timely and effective way. Ryerson is Canada’s premiere technological university. It’s applied programs in all areas are characterized by their innovative use of computing and information technologies. The Information and Learning Commons will provide the University with a showcase for these applications and resources in a highly visible location.